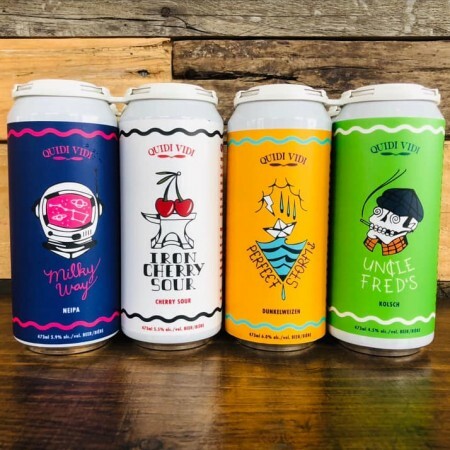 ST. JOHN’S, NL – Quidi Vidi Brewing has announced the release of a mixed pack of beers brewed with members of the Newfermenters Home Brew Club. Created in collaboration with the four brewers that had top placings in a homebrew competition held last fall, the pack includes 473 ml cans of Milky Way NEIPA (5.9% abv), Iron Cherry Sour (5.5% abv), Perfect Storm Dunkelweizen (6.0% abv), and Uncle Fred’s Kolsch (4.5% abv). The mixed pack is available now at the Quidi Vidi retail store and select NLC locations while supplies last.